Designed for today’s most demanding pool installations, SmartStar Pumps offer outstanding results. Quieter and more powerful than any other pool pump of their size, they turn over more water with less electricity! They are suited for residential pools of all sizes and shapes, as well as pool-spa combinations. A SmartStar pump will deliver the water volume needed to power your pool & spa—whether for cleaning, filtration, spa jets, water features, gas and solar heating, in-floor cleaning, or supplemental circulation systems. With their innovative fluid dynamic design that optimizes water flow, you can expect superior performance. 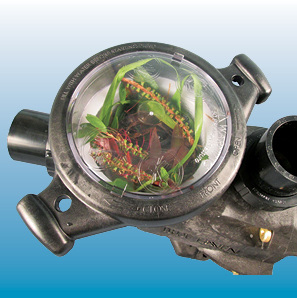 • Compliance by two-speed and variable-speed models for Florida’s pool pump-energy law and California’s Title 20 energy code. Superior, energy-efficient hydraulics create higher flow rate than competitor pool pumps, thereby saving energy by using less hp. This efficiency can allow for stepping down in power. 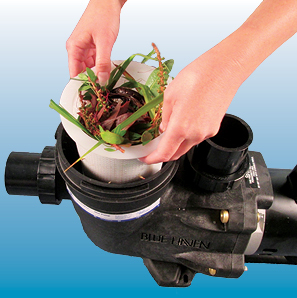 Say the features and equipment on your pool call for a typical 2-hp pump. With a SmartStar, a 1-1/2 hp unit may achieve the same results with less electricity and lower utility bills. To optimize pool operation, the single-most critical equipment-buying decision is the pump. The reason: Every minute your pools pump runs, its motor consumes electricity. Having the right pump will minimize power costs, saving you up to hundreds of dollars annually on pool operation. 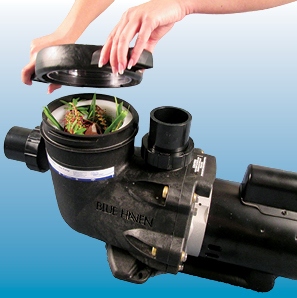 That’s why Blue Haven offices uses only those pump models with the highest hydraulic efficiency available. Greater Convenience:Clear strainer cover lets you see when the extra-large strainer basket needs emptying. Easy Access:Tri-lock design allows for removal of cover with only one-quarter turn—no tools, no clamps, and no loose parts. Fewer Cleanings:Basket with extra leaf- and debris-holding capacity extends the time between cleanings.